Peri peri is a traditional African spicy marinade recipe for chicken popular not only in the continent but also in neighbouring Europe. 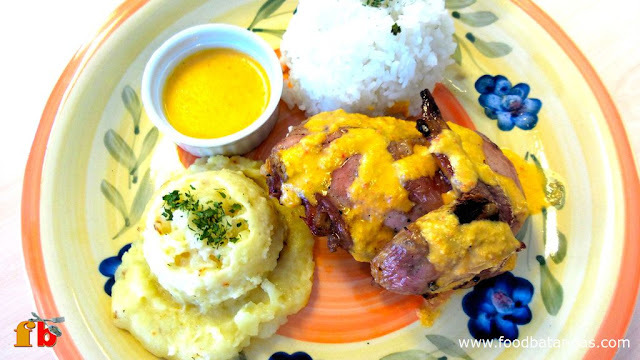 It has already been introduced into the country by a few high end restaurants in Metro Manila, but an enterprising young television talent by the name of Arianne Bautista has brought the peri peri chicken to a wider audience by way of a small chain of affordable restaurants specialising in the recipe. The idea was to devise a method by which the peri peri chicken could quickly be served to the diner despite the four hours needed for marinating, baking and grilling. 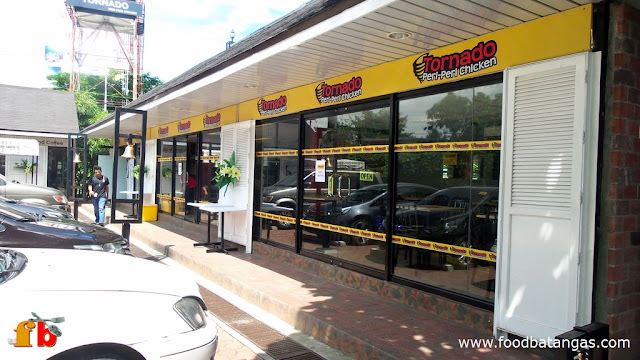 Hence, the name Tornado Peri Peri Chicken. While the name peri peri, derived from a Swahili word that means ‘chili pepper,’ suggests that the chicken done the traditional way ought to be hot and spicy, Tornado Peri Peri Chicken has tempered down the recipe to be more suitable to the average Filipino palate. Now the company has opened its fifth restaurant in Lipa, Batangas, the first outside of Metro Manila courtesy of a group of De La Salle Lipa graduate school students. Wendy Cueto-Bautista, spokesperson for the group, told Food Batangas that the group was inspired by company visits required of a Production and Operations Management class to go into business. 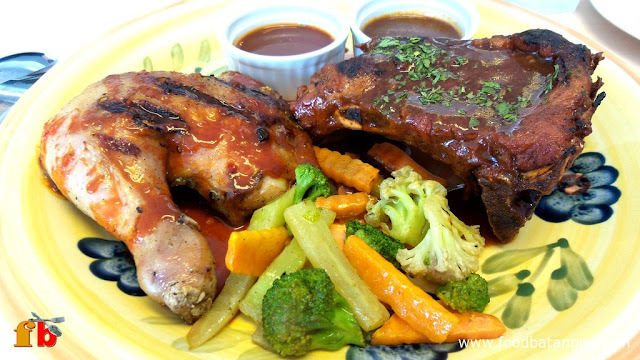 The Peri-Peri Chicken side by side with the baby back ribs. How about chicken wings and mashed potato? The classmates formally incorporated themselves into a company and their first venture was to gain rights to bring Tornado Peri Peri Chicken to Lipa City. The fledgling company also has exclusive rights to open other branches of the restaurant elsewhere in the province of Batangas. 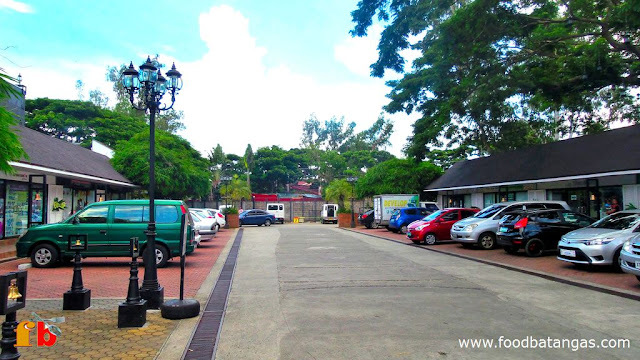 The Lipa restaurant is located at the rear of the Big Ben commercial complex, which is being developed into a community and restaurant hub away from the hustle and bustle of the big malls. The area has a cosy, welcoming and laid back ambience especially in the evening when the lights come on and customers can dine and hang out al fresco. The restaurant opened to the public in the evening of 31 July 2015. Although the initial marketing was conducted only over social media, the response was standing room only and sales were twice the target set for opening day. The main attraction, of course, is the peri peri chicken, served with the customer’s choice of sauce and side dishes. By itself, the chicken is already perfectly cooked, tender and tasty from the secret formula of the marinade. The sauce, however, makes the flavours explode in one’s palate even more. Those with an aversion for spiciness need only ask for the original sauce. Those with more daring, however, can ask for the Tiger’s Fury sauce. For those looking for a slow but steady glow in the palate, the sauce to go for is the Dragon’s Breath, appropriately named as Food Batangas can attest. For side dishes, the customer can choose from aromatic rice, corn cob with butter, mixed vegetables, grilled pumpkins, mashed potato, French fries, macaroni salad and fruit cocktails. An order of ¼ chicken with one side dish plus rice can be had for as low as PHP 125. On the other hand, ½ chicken with two side dishes goes for PHP 240. One whole chicken with four side dishes goes for PHP 430. The back of Big Ben is being developed into a laid back community hub. Although the restaurant’s menu highlights a recipe of African origin, it also offers a fusion of other more familiar western favourites. 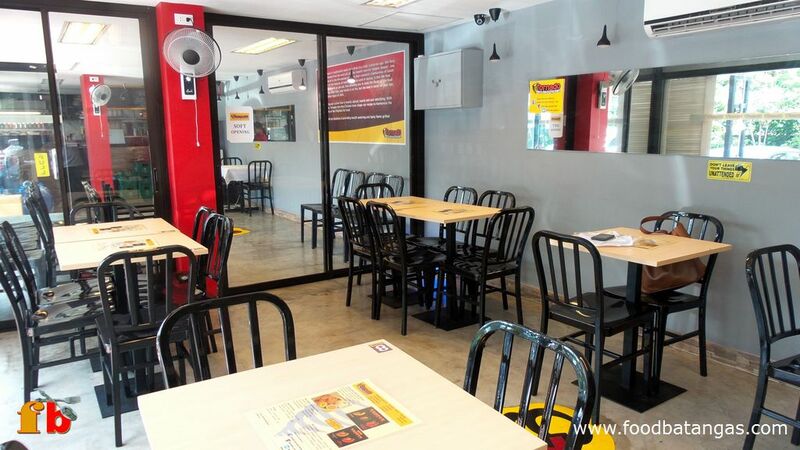 A quick look at the menu shows that one can also avail of baby back ribs, T-bone and Porterhouse steaks, burgers, chicken wings, fries and shakes, among others. The Lipa restaurant is also the only branch of Tornado Peri Peri Chicken which serves alcoholic beverages. Orders of beer and Smirnoff Mule, however, are limited per diner to ensure that other diners are not disturbed by drunken behaviour.